This is a darling little vintage style pink cotton blend bubble! Made by Bryan, it features a front yoke trimmed with ruffled white lace centered with a pink bow. The white Peter Pan Collar and short puffed sleeves are edged with white lace. The bubble buttons in the back and snaps in the crotch for quick changes. 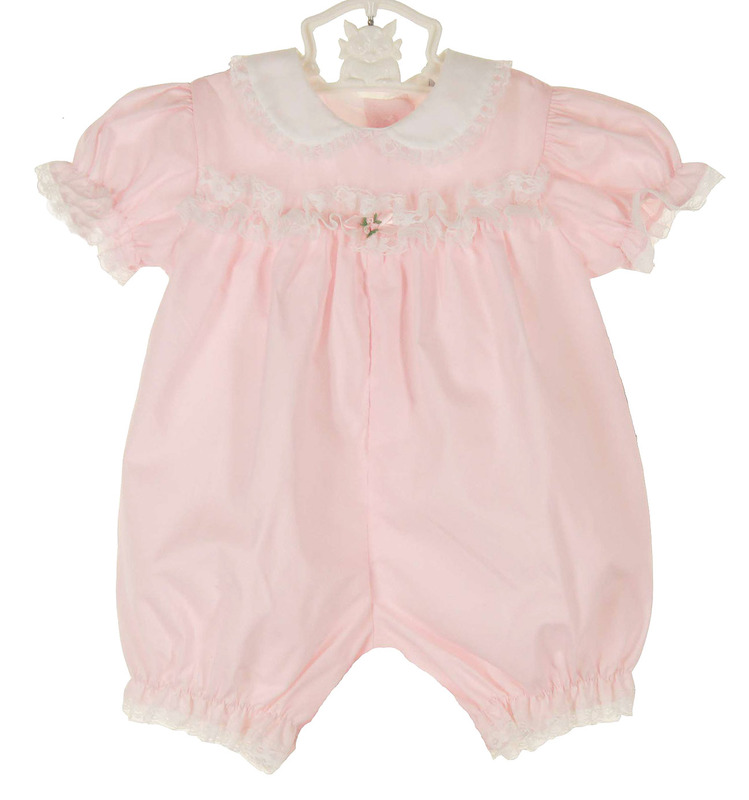 The legs of this short bubble are finished with lace trimmed elasticized ruffles for a perfect fit. It even has a triple row of lacy white ruffles across the bottom! How sweet! What an adorable take home outfit for your newborn baby girl!